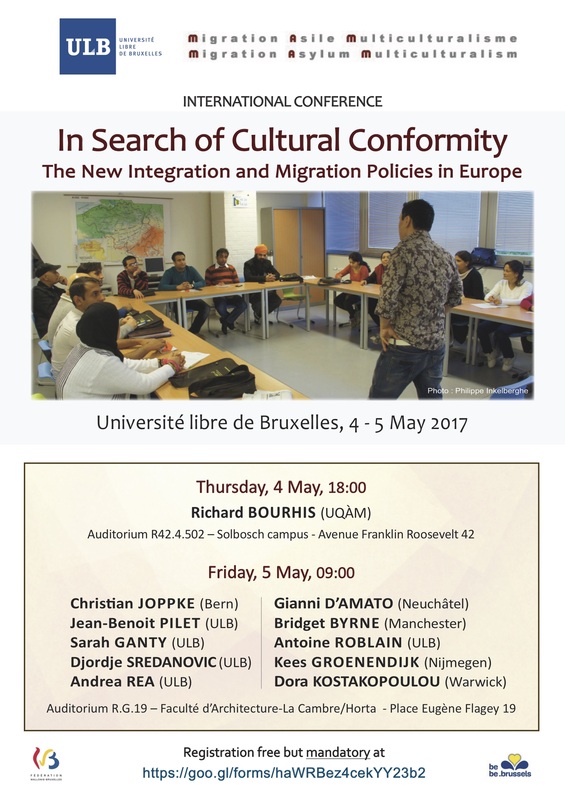 An interdisciplinary conference on integration policies for migrants in Europe will be held at the Université Libre de Bruxelles on the 4th and 5th of May. Among other speakers, there will be Richard Bourhis (Université du Quebec à Montréal), Christian Joppke (Universität Bern), Gianni D’Amato (Université de Neuchâtel), Dora Kostakopoulou (University of Warwick), Bridget Byrne (University of Manchester) and and Kees Groenendijk (University of Radboud, Nijmegen). Please note that registration is free but mandatory at https://goo.gl/forms/haWRBez4cekYY23b2. attitudes towards immigrants and immigration. A policy-mood approach.